Kaedon Fintry Vos has always been the free prince. He tastes the wind on his tongue, and has a heart of steel. With his ill brother Royce as the Heir to the Silver Throne, he never expected to have a crucial role in his Kingdom of Naar Huis. When the time comes that he has to repair his father’s ties in the Kingdom of Erresuma, he never expects to fall in love with the one he should resent. Duchess Amara is the forbidden one, and she’s the one who has Kade’s heart in a treacherous whirlwind. When they clash with each other, conflicts arise of love over family and threats of war erupt. 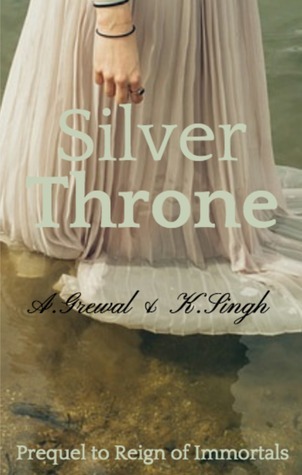 Join A. Grewal and K. Singh, in a thrilling tale of adventure, and the pain in love and betrayal.